Vision XS can help to source project funding, provide advice and support in fundraising strategy and bid writing for new and existing businesses. We find many people have great ideas, but sometimes they may not have the expertise to deliver it. That’s where we come in. 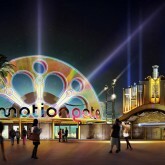 After setting up the initial company behind the London Paramount Entertainment Resort, we have established a team of visitor attraction specialists to develop the project and find the much needed investment, a goal which we successfully achieved. With extensive experience within the team of actually delivering projects, we offer Project Development and Leadership and can advise how the project should be structured to ensure it can be delivered. 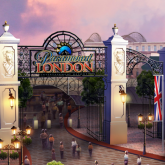 VisionXS under Tony Sefton's direction set up the original company behind the London Paramount project - London Resort Company Holdings (LRCH).